Lovely leggings and socks. I love the leggings as they stretch nicely, so they last for a while with a quickly growing baby. The knee pads are nice and flexible, so they are comfortable for the baby. The socks are ok, but maybe a touch on the smaller side. They won't last for as long size wise as the leggings. 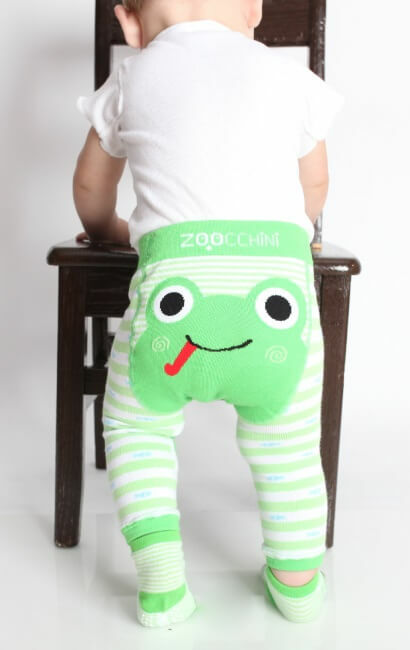 These are adorable...I cannot wait for my grandson to start crawling in these leggings.